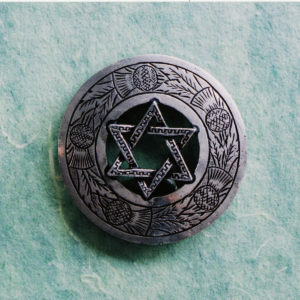 This pin is approximately 56 mm across. 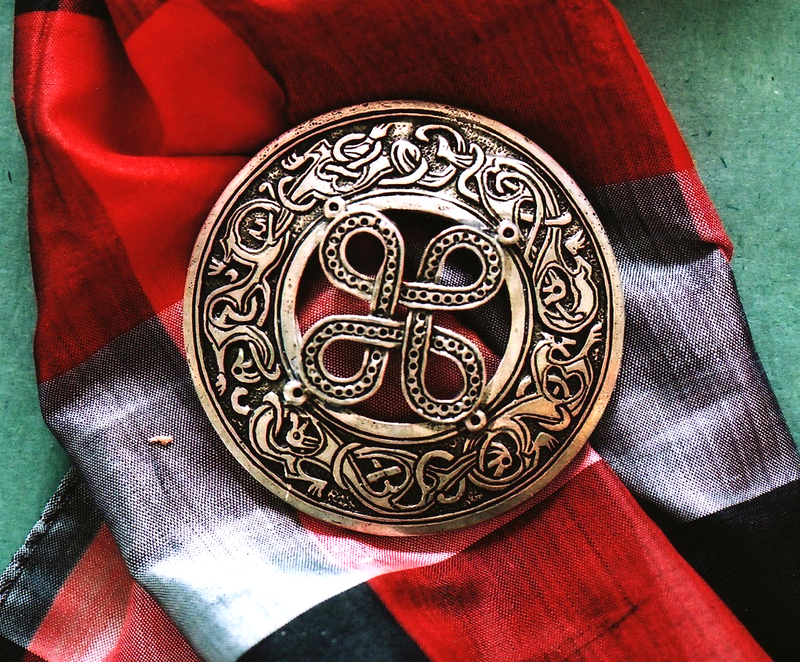 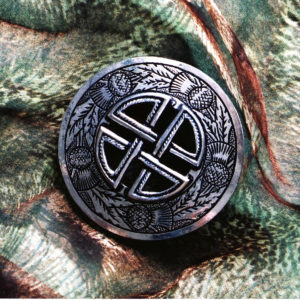 A purely decorative pin (it is inadvisable to use this pin as a clothing fastener) this piece is an elegant combination of classic Celtic style mazework and anthropomorphic Viking style interlace carving. 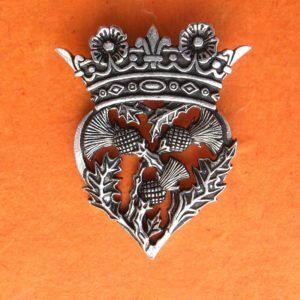 This pin is a good size for a sash brooch or larger hat pin.